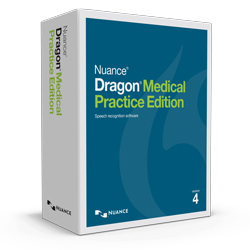 Comments: This is the latest version of Dragon Medical Practice Edition and was released in January of 2018. This is the full "client-side" version of Dragon and does all the work on your local machine. An alternative to DMPE4 is Dragon Medical One, the cloud-based version of Dragon which is sold on a subscription basis. Look at "Related Products" below to see a link to Dragon Medical One. Note: this is the boxed version of the DMPE4 Upgrade. It's large - more than 2 GB. We also sell the download version of the DMPE4 upgrade if you would prefer to to get it quicker. The download version is listed below under "related products".